Jorge Lorenzo says he can sympathise with Maverick Vinales' recent difficulties during race starts, as he suffered similar problems earlier in his MotoGP career. 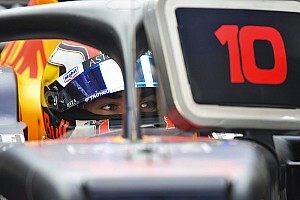 Reigning Super Formula champion Naoki Yamamoto says his second-place finish in last weekend’s “wild” opening race at Suzuka shows that risking leaving his Mugen team was the right decision. Ferrari's FIA World Endurance Championship drivers are having to "scrape the bottom of the barrel" in the corners to remain competitive because of the 488 GTE's lack of straightline speed, says Davide Rigon. Former MotoGP rider Scott Redding opened his 2019 British Superbike campaign with what he described as a “not deserved” podium finish at Silverstone. 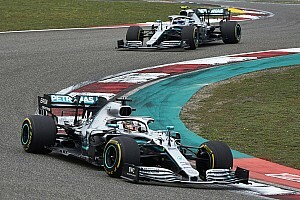 Ferrari must ensure its Formula 1 team boss Mattia Binotto is not overwhelmed by his responsibilities and consider recruiting a secondary figure to help deal with politics, says Gerhard Berger. Tom Luthi has described his tough season in MotoGP as a "good school" for his return to Moto2 this year, following his victory last weekend at Austin. The RLR Msport LMP2 team has announced Norman Nato will complete its line-up for the Le Mans 24 Hours, taking the seat that had been set to go to Brendon Hartley. Jonathan Rea believes that the dominance shown by Alvaro Bautista and Ducati World Superbike this season is a "disaster" for the championship. The R-Motorsport squad that is running the Aston Martin Vantage in the DTM this year has obtained permission to catch up on its allocation of test days during the season. Stoffel Vandoorne will contest the final two races of the 2018/19 FIA World Endurance Championship season with the SMP Racing LMP1 team, replacing Jenson Button at the Le Mans 24 Hours. Audi driver Robin Frijns set the quickest time across four days of official pre-season testing for the new DTM season at Lausitz. McLaren CEO Zak Brown says the British marque is still interested in joining the FIA World Endurance Championship's hypercar class, but is cautious of what he calls a "chicken-and-egg" situation. Valentino Rossi concedes the only reason the MotoGP title fight is so finely poised at the moment is because Marc Marquez crashed out of a commanding lead last weekend at Austin. 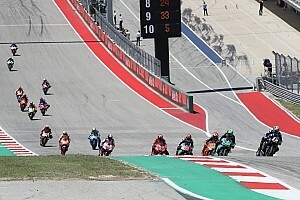 Post-penalty Austin speed leaves Mir feeling "angry"
Suzuki MotoGP rookie Joan Mir says the speed he demonstrated after his jump-start penalty at Austin left him feeling "angry". Jamie Chadwick has been signed by Aston Martin as a 'works junior driver', and will contest the Nurburgring 24 Hours again with the British marque. Jorge Lorenzo says he was making "strange mistakes" in the opening stages of the Grand Prix of the Americas before his Honda MotoGP bike failed. Volkswagen will give its I.D. R electric prototype a Formula 1-style Drag Reduction System for its electric lap record attempt at the Nurburgring Nordschleife this summer. Aprilia MotoGP rider Aleix Espargaro insists that an electronic problem, not rider error, was to blame for for his early crash in last weekend's Americas Grand Prix. The Le Mans 24 Hours will feature a 62-car grid this year, with temporary garages being erected to house High Class Racing and United Autosports. Cal Crutchlow was left to count the cost of another "big missed opportunity" after crashing while battling Valentino Rossi in MotoGP's Americas Grand Prix. Audi has revealed the liveries its six factory DTM cars will carry this season. Valentino Rossi and Jack Miller both acknowledge MotoGP's newest race winner Alex Rins as a threat for the title this year after the Suzuki rider's breakthrough success at Austin. Marquez says Austin crash "hard to understand"
Marc Marquez says the crash that brought his MotoGP win streak at the Circuit of the Americas to an abrupt end was "hard to understand" because he feels he was not pushing to the limit. A magnanimous Valentino Rossi admits he was beaten fair and square by Suzuki’s new race winner Alex Rins in the closing stages of the Austin MotoGP race.